(TibetanReview.net, Aug12, 2018) – A United Nation Committee headed by the world body’s first independent expert on minority issues has on Aug 10 delivered a sharp rebuke to China for its treatment of Uyghurs, accusing it of turning the Xinjiang region into “a no-rights zone”, reported theglobeandmail.com Aug 10. The lawyer and scholar of international law has said some Uyghurs, a Muslim ethnic minority group of Turkic origin, “are being treated as enemies of the state based solely on their ethno-religious identity”. 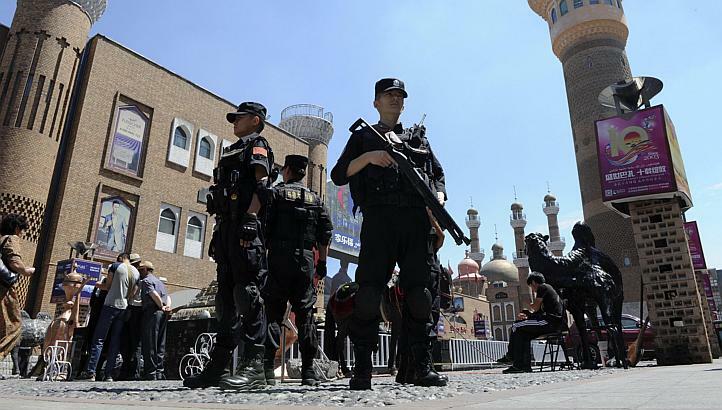 She has criticized China for placing these people into so-called “re-education” as part of a broad campaign that has placed hundreds of thousands of Xinjiang Muslims into internment camps. She has added that numerous others were being held in counterextremism centres. She cited credible reports as suggesting that as many as 1.1 million people were or had been detained in the political re-education camps—which equates to 10-11 percent of the adult Muslim population of the region—while another 2.2 million people were forced to attend “open re-education camps,” which require daily indoctrination sessions but allow attendees to return home in the evening, reported the Uyghur Service of rfa.org/English Aug 10. “Most have never been charged with an offence, tried in a court of law or afforded an opportunity to challenge the illegality of their detention. Many just disappear. Their relatives never know what happened to them,” the theglobeandmail.com report quoted Gay as saying. The report noted that Chinese officials had denied the existence of such facilities, although their construction had been confirmed through government procurement documents and satellite images. The Chinese government, in a lengthy submission to the committee, was stated to have sought to draw attention to other issues, referring to economic achievements in Xinjiang, a region Uyghurs refer to as East Turkestan. The report noted that several committee members had flattered China for improvements it had made in laws governing rights for minorities, while questioning whether changes on paper made much difference on the ground. The CERD’s Geneva-based body of independent experts that monitors implementation of the Convention on the Elimination of All Forms of Racial Discrimination by its member nations kicked off its review of China’s adherence to the charter’s guidelines at its 96th session, the first time it has done so since its 75th session in 2009. China’s lead representative to the committee, Yu Jianhua, has said he would respond to a number of questions raised by committee members on Aug 13. “We have taken careful notes,” he was quoted as saying.